Evaluating whether or not to outsource your company’s project management functions can be challenging. Before making this potentially risky leap, you have to assess if this is a good move for your business, keeping in mind that what works for your business today may not work in the future. There can be many benefits to outsourcing your company’s project management functions, with equally as many pitfalls. There aren’t any one-size-fits-all solutions based on your industry, type or size of business. Just as you would with different project management methodologies, consider the risks and rewards carefully and take the time to thoroughly evaluate why outsourcing project management may or may not be a good move for your organization. Low staffing levels. Depending on the size of your business, you may not have sufficient staff in place to set up and support a project management office (PMO). Many businesses simply do not have adequate staffing levels to dedicate one or more employees to solely focus on projects; often existing resources may already be overextended, and only able to focus efforts on daily operational duties. Shortage of highly experienced staff. Whether you have a small, midmarket or large company, your internal staff may not have the specific project management experience and/or training you need to effectively take a project from inception to closeout. In fact, the nature of the project may necessitate very specialized expertise. If you’re a home-building contractor, for example, you might require engineering project management skills that are different from software developers tasked with implementing a new inventory management system for your business. In this case, it may make sense to seek external vendors with the appropriate technical project management expertise to assist with your unique projects. Cash flow constraints. This can be an ongoing concern for businesses regardless of type or size. As budgets shrink and competition grows, businesses often struggle to find the capital to fund projects. Finding additional financial resources to hire specialized staff like project managers can be difficult, especially when those resources are already earmarked to support operations. In this case, it may make sense to find vendors that offer project management services on a per-project basis. Business model decisions. You may choose to outsource your project management functions as a result of your business model. If your projects are of the one-off or ad-hoc variety, then hiring internal project management staff may not make sense. It may be less cost-effective and more of an administrative burden to hire, train and retain an FTE. What are some of the benefits of outsourcing project management? Cost structure can be lower. All project management vendors work differently, and offer different pricing structures depending on their level of services, experience, business model and overhead, as well as consideration for their target markets. It may take some upfront work to solidify details and obtain quotes from these vendors prior to determining if any given vendor is a cost-effective option for your business. And don’t forget to factor in the longer-term factors as well (such as the cost of maintaining FTE PM roles in-house). Higher level of experience and competence. Project management is a highly specialized area of knowledge and skill that requires significant attention to detail, as well as the ability to see the broader scope to ensure strategic business alignment. In addition, people with the ability to effectively manage multiple resources, juggle hectic schedules, deal with difficult situations and keep within scope are in high demand, yet are hard to find. The upside to being able to find people with these skills, is their ability to provide high-quality project management, enabling businesses to execute projects successfully while allowing your internal staff and management to focus on what they do best. If these skills are not available internally then outsourcing to an experienced project management vendor may be the best option when compared to the cost of hiring a less experienced internal project manager. Objectivity. External project managers often bring a level of objectivity that may not always be present with internal staff, for various reasons. This objectivity can be of great value when it comes to the actual project outcomes and deliverables, and ensuring all business requirements are met. Clarity of focus. When properly executed and managed, projects facilitated by an experienced outsourced PM can allow opportunities for businesses to achieve clearly defined expectations with single-minded focus and less internal friction. This of course assumes the right amount of senior management support is in place. What are some of the risks of outsourcing project management? Relationships/buy-in. When it comes to buy-in from internal stakeholders, outsourcing may be an obstacle. At times, when a business chooses to outsource project management functions, the external PM can run into issues with a company’s internal staff members and/or management consciously or unconsciously being uncooperative or less trusting. This can make the successful execution of a project more challenging, and possibly position a project for failure. 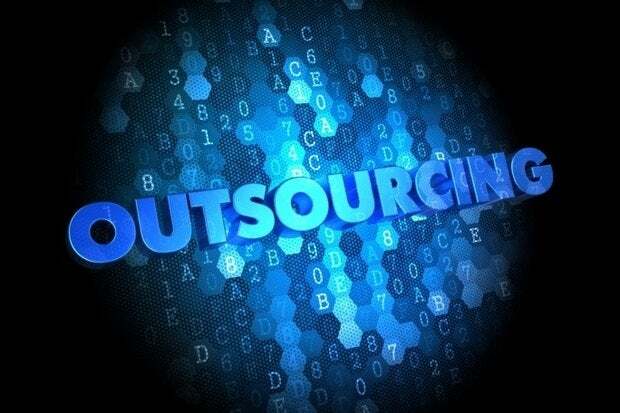 This does not mean outsourcing will not work; it means there may be additional work required to gain the trust and buy-in from key stakeholders. Lack of awareness for business objectives & operations. Let’s face it, institutional knowledge can sometimes move mountains. When the appropriate and specific project management expertise exists within an organization, it allows for the potential to more easily execute and manage projects successfully due to existing business and operations knowledge. As a result, internal project managers (that have the required skills, of course) may have an advantage over an external project manager. Exposure of sensitive company information. The risk of a potential data breach can exist with both internal employees and also when external vendors gain access to sensitive information. This risk can be mitigated through various means with external vendors. It is critical that your business clearly and completely defines policies and processes, and communicates and implements measures to address these security issues. Reliability and accountability. When outsourcing a project management function, ensuring the outsourced vendor or PM is fully committed to all aspects of the project is key. Outsourced PMs are not internal stakeholders, and they are not impacted by the business outcomes of the project; therefore, it is critical to ensure reliability. Clearly defining and setting expectations and goals is critical to the successful completion of any project. You may even want to consider linking pay to performance, as well as addressing professional conduct, ethical behavior, time commitments, scope and other factors into any agreement. Also consider your company culture when making the decision to outsource project management. Does your organization outsource any other critical roles or functions? Is there already a healthy balance of onsite and offsite employees that are used to working on virtual teams? Take a close look at your internal company culture to gauge if employees will be receptive to working with an external PMO. What options are available, and will they work for your business? There are many vendors offering outsourced project management expertise. Finding the right one for your specific project(s), whether based on the project size, complexity, nature, duration or even your type of business can be challenging. Ensuring the vendor has the expertise and resources and understands your needs and expectations is crucial to the success of your projects. When evaluating your options, one thing should be clear: Make sure the decision fits your company culture and that outsourcing allows all project outcomes to effectively align with the business goals and strategic objectives. Also, keep in mind what works for your unique business today may need to be re-evaluated in the future as both the internal and external business environment evolve.